The Armed Forces Cycling Classic Challenge Ride, brought to you by The Boeing Company, is an amateur ride, open to cyclists of all abilities. 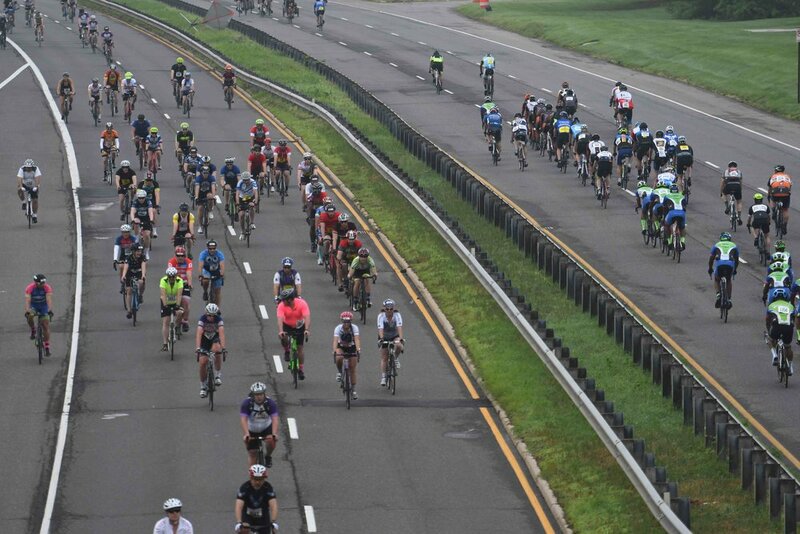 The ride takes place this year on Saturday, June 1st (not Sunday) on a course closed to traffic, starting and finishing in Crystal City, traveling past the Pentagon, up to Rosslyn and back. The official start is at 7:00am and all riders must be off the course by 10:00am. 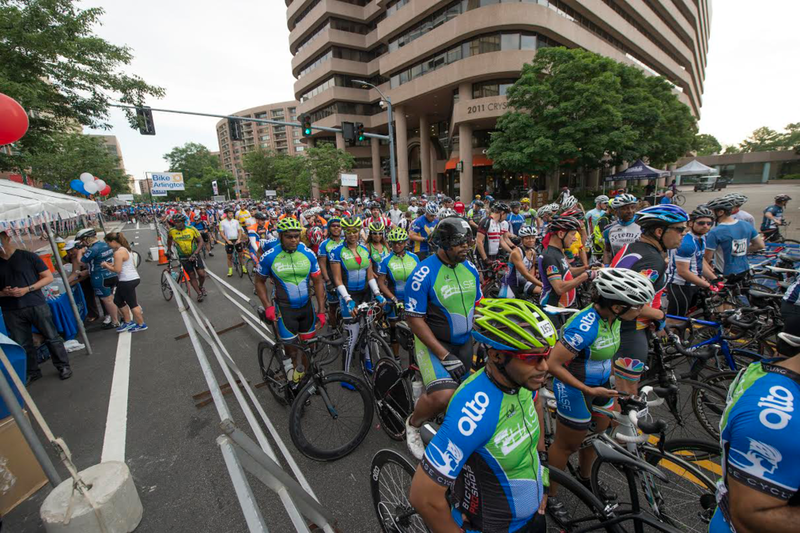 Riders can participate as a General Registrant or as a member of a Corporate Challenge Team. Also, consider fundraising for TAPS, our official beneficiary! 100% of the proceeds raised from TEAM TAPS will benefit this wonderful organization! Active Duty, retired and reserve armed forces members compete to earn bragging rights as the most competitive service. The service whose participants complete the most TOTAL laps, as well as the most laps completed by their top 6 riders, will be honored and recognized on stage. It doesn’t matter if you are participating as an individual or if you are on a Corporate Challenge team, if you are active duty, retired or reserve, your laps will count as part of this challenge! When you register, simply indicate your branch of service and don’t forget to bring your military ID to packet pick-up to confirm your status. BE SURE TO SELECT THE MILITARY DISCOUNT OPTION IN THE STORE IF YOU WANT TO BE A PART OF THE ARMED FORCES CHALLENGE COMPETITION. Companies and organizations form teams to participate in the Challenge Ride. Registration fees are based on the number of riders in a team. To start your own team, go to REGISTRATION, and select the level based on your team size. There is also a $1000 suggested pledge per team. Teams are invited to create their own Fundraising page to support our beneficiary. The top three fund-raising teams will be recognized on stage on Saturday, following the Challenge Ride. In addition, awards will be given after the ride to the Corporate Challenge Team that accumulates the most TOTAL laps, as well as the most laps accumulated by their top 6 riders. For insurance reasons, all riders must be a minimum age of 10 on or before ride day. 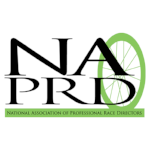 Each rider must be present to pick up their own packet, must have a photo ID and will be required to sign a USA Cycling Waiver prior to receiving their packet - No EXCEPTIONS!! If you are registered in the DISCOUNTED ENTRY category, you must bring a valid Military ID indicating that you are active duty, reserve or retired military. There are no other Discounted Entry Categories that will be accepted. If you do not have an ID, then you will need to pay a $10 step-up fee to the general category when you pick up your packet. If you mistakenly registered in this category and are not Active Duty Military, it will be handled at pick-up. 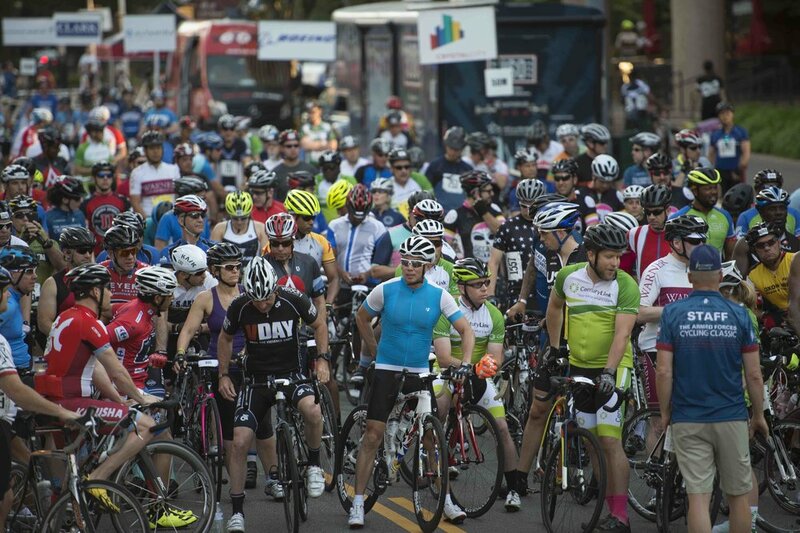 Corporate Challenge riders will be allowed to begin in the first wave. We will mark that section at the Start/Finish line. General Registrants will find their appropriate area, determined by the pace they are working towards (Gold Medal pace, Silver Medal Pace, Bronze Medal Pace). Remember, you will be able to begin your ride starting anytime between 7am and 9:30am. The course will close promptly at 10am. Participants must have reached the age of 10 on or before June 1, 2019. All finishers receive a medal! Riders that complete 9 or more laps receive Gold, riders that complete 6 to 8 laps will receive Silver, and riders that complete 5 or fewer will receive Bronze. - $70 General Entry - $60 Discounted Entry (Active Duty/Reserve Military Personnel, Retired Military) - On-line registration closes midnight, May 15th (or if we sell out prior to then) If we are not sold out, we will continue to offer late registration spots at packet pick-up. Standard and Discounted Registration Fee Includes: Timing chip, finishers medal, water stop support. You must bring valid proof of discounted category or pay an additional $10 at packet pick-up.